I have never read, nor ever encountered, a person asking this question who wasn’t already interested in justifying a particular stance. The answer seems to be already implied (or assumed) in the mind of every person asking it. If you want there to be a God that exists, then you’ll describe the sort of God that you want; or you may just declare that whatever-sort-of-God exists, and damned if it isn’t quite the mystery?! If you don’t want there to be a God, you’ll concoct the sort of a God that no one would want; or that couldn’t possibly exist. We always seem to have in the mind the God we need. 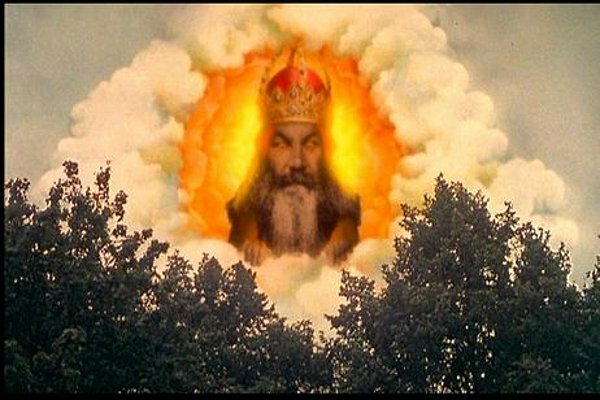 Atheists imagine a silly God, or a tyrant, or a God that otherwise offends reason. Sometimes even a God that deserves our hatred. This is the God in which they need to disbelieve – and it is common to find atheists for whom the need to disbelieve is truly palpable. You can witness it in the raw pathos rippling forth from what they claim is dispassionate, purely rational discourse. On the other hand, the faithful – even those that struggle with doubt – imagine the God that fits exactly the shape of their need to believe. It may be the God of their parents, or of their community; the God that a revered religious authority taught them; the God that cured them of cancer; the God that punishes them for their sins; the God that tests them; the God they encountered during a powerful religious experience that took their breath away. Whatever the case, the God in which they place their faith is the one presupposed by their deepest needs. We ask this question – with the answers it implies – because we need that desire to be reflected in the world. The atheist needs the world to be too harsh, too heedless, or too mechanistic for God. The believer needs the world to be oriented toward satisfying his yearning. In the first case, the universe is too small for God. In the latter, God is too small for the universe. However, there is no move we can make from the narrowly presupposed God of our needs to the infinitely inscrutable reality of either a godless or a divinely created universe. 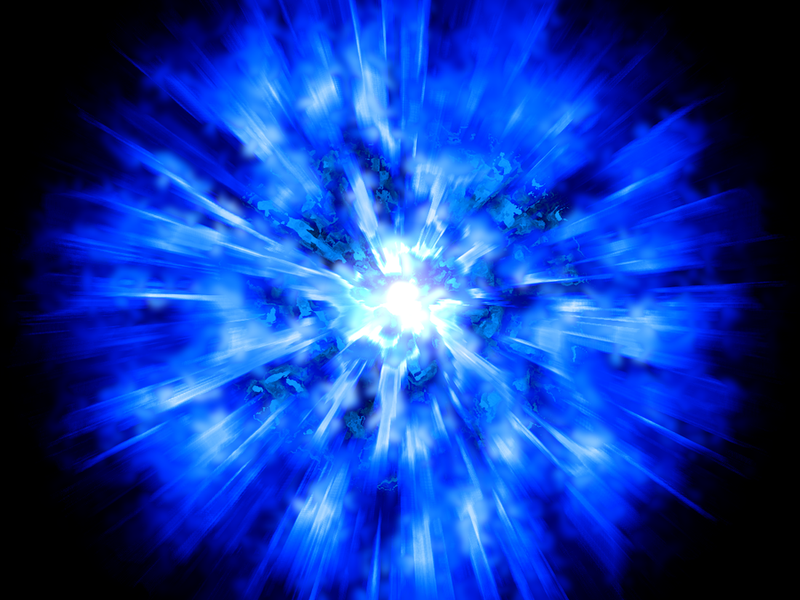 The universe – meaning all that there is, ever was, or ever will be; spacetime and/or the multiverse; all of existence to the very boundaries of space and time – is unknowable. (This is implied, at the very least, by Gödel’s incompleteness theorems). Ultimate reality is far outside the grasp of human beings. Our view of the universe, and how it works, is at best an approximation, subject to error, edge cases, and incomplete. Likewise, God – as a being or entity that exists – must be at least as inscrutable, or else God would be less than Creation, itself. Likewise, a being that is omniscient, omnipresent, omnipotent, and omnibenevolent must be utterly outside our grasp – our limited human faculties cannot even begin to conceive of what these attributes actually mean. We may approximate what they are not, but we cannot provide a complete account of what it means to possess these attributes. God is, quite without controversy, beyond imagining. When we have a particular powerful religious or spiritual encounter, we are tempted to anchor it in reality. An experience so powerful must point to something big and real “Out There™.” We draw conclusions. We strive to explain. We rationalize in order to appear sane, because if we didn’t just experience something real and shared, then we must be delusional. Insane. Like those poor individuals who are absolutely convinced they have seen a UFO or had been abducted by aliens, we must cling ever tighter to the insistence that we encountered something real, especially in the face of ridicule or criticism. We feel that if we can’t make it real, then it’s just make-believe, and it is worthless. Diminished. God becomes a thing. An idol. Yet the experience itself is real regardless of what it’s pointing to. Whatever Big Thing is happening Out There is effectively irrelevant to the truth that is happening at the moment of that indescribably profound experience. You experienced something profoundly moving, and the more you try to pin it down and turn it into an externalized phenomenon, the more you diminish the most important feature of the experience: the power it has to live within you and transform you. Religious experiences are not ordinary aesthetic experiences, neither are they merely a flood of emotions, like love or empathy. They have a unique neurological signature. In a previous post (The God Shaped Hole: Whither Theology) I highlighted the work of Patrick McNamara at Boston University in describing what’s going on during a religious experience. They involve the limbic system (especially the amygdala), basal ganglia, right temporal lobe, and portions of the prefrontal cortex in an anatomically connected circuit, all of which participate in mediating the self. With an interplay of dopamine and serotonin throughout the circuit, a variety of uniquely religious experiences occur: Ideational changes, visions, and responsiveness to ritual. Religion has for centuries generated public rituals and dogmatic traditions that have presided over millions of births, weddings, and deaths. Established religions and their attendant rituals and dogmatic traditions are the result of centuries of work by nature and flawed human beings. They are a collaboration between nature and humanity. They are often not pretty, but they are always, like nature itself, protean, wild, elaborate, and functional. Protean, wild, elaborate, and functional. Like the foundry of Creation, itself. Neither God nor the universe will be domesticated and tamed by puerile Enlightenment-Era theological or philosophical debates. God is the name we give to the other side of a deeply personal encounter, not a rational, detached philosophical question of existence. In the West, much of this debate centers on the Bible. Is it the literal Word of God as dictated to prophets, or is it a bunch of Iron Age fantasies foisted on gullible sheep by opportunistic charlatans? Something in between? As with the question of God’s existence, there is no disinterested answer to the question. And likewise, the question entirely misses the point. It’s a distraction from the Bible’s essential feature: It, like all other sacred texts, connects us to an ancient past, when human beings very much like us were having religious experiences like our own and documenting the resulting impressions in narrative form, using the archetypes of their particular milieu. The Bible is no mere literature; no sacred text ever is. Literature is storytelling, and it – like poetry – essentializes selected features of human experience. The Bible does this as well, but it does so in a sacred context, anchored in the shared neurology that is responsible for religious experiences in our species. When we encounter the Bible in a sacred or mythic context, we are in communion with a spiritual family that stretches back countless generations. It is in this sense that scripture becomes the living word of God. We breathe new life into it when we join our own divine encounters with the text. But too many of us treat the Bible as if it were the first and last important thing ever said about humankind’s relationship with God. We encounter the divine everywhere. God is a relationship we form with the dynamic and eternally unfolding essence of creation. When we cease to join with the Bible, but rather use it as a rigid constraint to delegitimize the power and authority of our own religious experiences, then we close ourselves off to the ways in which the divine is speaking to us right now, today. When we put the Bible on a pedestal of supreme authority, we isolate it from the living word of God as it’s spilling forth from creation. We disconnect its oxygen supply. It becomes a dead thing, ceasing to live through us and our own religious experiences. We make of it a Golden Calf. It is deeply ironic that in an age of instantaneous global communication that has the power to bring us all together, our beliefs – supercharged at the speed of light by those very same tools – are instead isolating us and driving us farther apart. Our sense of community has shifted from the confines of our immediate surroundings of family, neighborhood, and work, to a globalized set of interest groups. More and more, we find our communities online, populated with denizens who share our particular world view. In globalized civilization, we find ourselves forming new tribes for the 21st Century. And this instinct for tribalism, given full manifestation in the spontaneous enclaves of social media, is erecting a new Tower of Babel: We no longer understand each other. When we treat beliefs (or the lack thereof) as bona fides that establish whether or not a stranger is a member of the tribe, then they become a mere banner. A signifier. It is in this act that belief/non-belief, itself, becomes an act of empty idolatry. They are ideological commitments that – by definition, and by design – close off further discussion or contemplation. They distance us from the universe, God, or ultimate reality. Those moments when we find ourselves clinging to an ideology, doctrine, or dogma are precisely when we forget how small we are and how incomprehensible the universe is, with or without God. When our ideas (or our beliefs about them) become more important than the inscrutability of truth, it is then that we find ourselves alienated from each other, from nature, from the universe, even from God. And as we embark on an age of perpetual ideological warfare – War on Christmas, War on Women, War on the Poor, War on Muslims, ad infinitum – this dogmatic and ideological tribalism is the greatest threat to peace facing the world today. Rather than making of belief (or non-belief) a lifeless thing, held up and paraded around in a mummified state, we must return to its place of birth. What was that encounter, and how did it move me? How should it live in me – and through me – today? In my rush to render it tidy and comprehensible, what did I leave behind that could have the power to leave me continually breathless and awestruck, if I were to have kept that moment alive and acting through me? I’m not finding the words to describe how great I think this is. Very well said and infinite. I have a different opinion on this, philosophically. When you set your life to revolve around an event in the past you stop living your life, it is anchored to a memory. To live life requires the acuisition of information through new experiences. We may read an inspirational book or passage and if it inspires us it is better to take the inspriation and understand new experiences with it in mind. Move forward, you can never go home. The theists live their life through the lens of an experience they never shared. It is a memory given to them by those with ulterior motives. Moments die. History helps us remember but only through the light of our more recent experiences – this is how we learn. If you are inspired use that inspiration to help understand new experience but do not tie yourself to that memory for it may be wrong or even harmful. Beliefs are always lifeless. They have no life. Experience? That’s a different story and life itself is the act of experiencing. Don’t give experience to your beliefs nor let your beliefs taint your experiences – dogma is the death of experience and life itself, if life is to have any meaning at all. Don’t set your life to let a memory live through you, set your life to experience the next moment – if the past relates, good, and if not, such is the fate of memories and dogma. We can neither live in the past nor the future but only in the now. To do anything else is to deny the one thing that you are guaranteed as a human – experience and the opportunity to learn. I don’t think we disagree on that. As I pointed out, the power and importance of any experience and any text is its capacity to live and act through us today — we must forever be integrating the experiences of the past, and the wisdom of those who came before us, into the present. Otherwise, it is a dead thing: an idol.